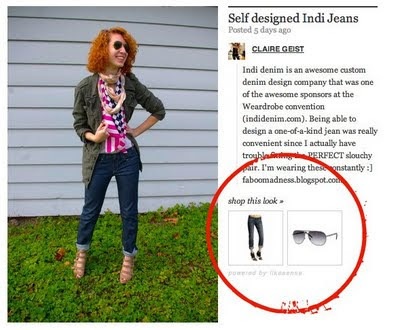 Not only can you upload and cataloge your own style photos and closet items, but now you can actually shop via their site, as they recently partnered with like.com, an online shopping site that gives you similar item suggestions from a wide variety of retailers. In other news, I've been featured on Befashionlike.com, trés nifty! But there is some sad news today as well. Daul Kim, a remarkably talented model, blogger, artist, and style icon has died at the age of 20. I like your pants and your shoes and your everything. Oh god, I am so sad about Daul Kim. I read about Daul yesterday on Fashion gone rogue. So sad. She was such a beautiful person. The last photo is cool! Nice blog. Love the shoes!! You are great with sparkles and sequins. So sad about Daul, I always loved her! So sad to hear about such a young talent leaving us so soon. You look great by the way, love the cardi! In response to what you said, Monika, Thank you so much! I actually haven't danced in about 9 years, but what a compliment! Thanks for the positive feedback on my blog! Love your shoes, have fun in New York! I am jealous of your awesome shoes. lovely outfit - I hope you had a wonderful Thanksgiving! I love your blog. And your hair! I am so envious of your shoes!!! I want a pair like those!! Love your shoes in this. Awesome blog. What a tragic death that was. I'm crushing on your floors!